High-performance 13T tooth pinion gear, manufactured from special steel for toughness and durability with precise tolerances and assures unparalleled concentricity. Created on a special gear machine, all pinions feature ultra-precise tooth shaping and ultra-true running for vibration-free operation. Each pinion is marked with the tooth number for easy and quick identification. 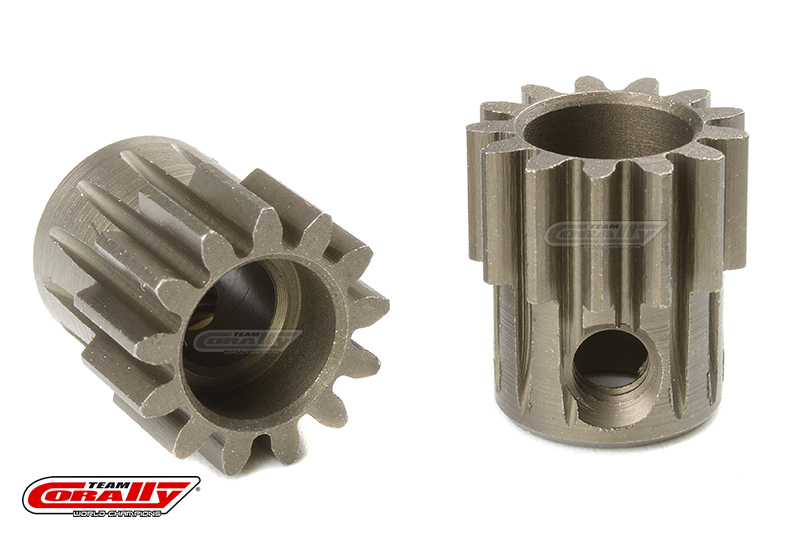 Available in all gearing sizes, allowing you to find the perfect gear ratio for any track.